The Forbidden Education is a documentary film that aims to question the logic of schooling, modern and the way we understand education, visibilizando educational experiences different, non-conventional posed by the need for a new educational paradigm. The Forbidden Education is a project carried out by young people who departed from the vision of those who learn and embarked on an investigation covering 8 countries by carrying out interviews with more than 90 educators of educational proposals for alternatives. The film was financed collectively thank the hundreds of co-producers and has free licenses that allow and encourage copying and reproduction. 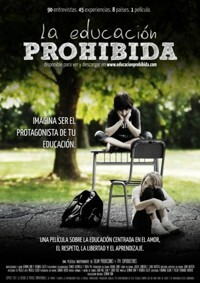 “The Forbidden Education” is proposed to feed and shoot a debate social comment about the foundations that support the school, promoting the development of a comprehensive education centered on love, respect, freedom and learning. The school has already attained more than 200 years of existence and is even considered to be the main form of access to education. Today, the school and education are concepts widely discussed in academic forums, public policy, educational institutions, media of communication and spaces of civil society. Since its origin, the educational institution has been characterized by structures and practices that today are considered largely obsolete and outdated. We say that do not accompany the needs of the TWENTY-first Century. Its main shortcoming is in a design that does not consider the nature of learning, freedom of choice or the importance of love and human links in the individual and collective development. From these reflections reviews have emerged, along the years, proposals and practices that thought and think about education in a different way. “The Forbidden Education” is a documentary film that seeks to recover many of them, explore their ideas and visualize those experiences that have dared to change the structures of the educational model of the traditional school. More than 90 interviews with educators, scholars, professionals, authors, mothers and fathers, a tour of 8 countries of Latin america passing through 45 educational experiences unconventional, more than 25.000 followers on social networks before its release and a total of 704 co-producers participating in its collective financing converted to “Forbidden Education” in a unique phenomenon. A project totally independent of a magnitude unprecedented, which gives an account of the necessity of latent growth and the emergence of new forms of education. If you want to download movie in high-definition or collaborate on the project visit the Official website of “The Forbidden Education”. The investigation of The Prohibited Education was an informal process that took us to meet a diversity of educational experiences and people that reflected on other ways of understanding education. Since the year 2009 realizarón more than 90 interviews with educators, professionals, parents, and related educational experiences different. Is visited more than 45 educational experiences unconventional, many of them belong to different pedagogical methods formally instituídos and others are in the process of creation and development of new practices. The film is a summary of our impressions during this investigation. Throughout our tour we managed to find certain ideas common to many unconventional experiences, which may or may not be present, but they are important elements to start thinking about a new educational paradigm. The Montessori Method a century old, contains the essence of this educational paradigm. Through scientific observation, the method proposes to gain a full understanding of the children and respect their process of development, turning education into a accompaniment of life. Maria Montessori, developed a methodology that is very complex and requires that part of the autonomy, the child’s environment, universal values and the building itself. Montessori was one of the pioneers in the education alive and active, giving a kick-start to what was later the constructivism in pedagogy. The education at home or education without school, it is a movement that became popular in the last few decades, but unlike the others, there is not an institution. The education in house proposes an alternative to the institution of the school, and believes that the best environment for education is the home. Always accompanied by the variety of experiences that are given day-to-day lives and a strong commitment from parents. This vision of the pedagogy, part of the technique of Family Constellations, used in the field of psychology. The pedagogy systemic, very young as a pedagogical proposal, it articulates perfectly with any educational system, because his proposal is rooted in the links and in their relationships. Promotes interaction among those who make up the education, but always keeping his place. Each of which contributes to the process of conscious and active but respecting the place of the other. Paulo Freire coined the term education bank, to describe the system, alienating education, where young people are seen as products that are incomplete, where the adult imposes his sight, his knowledge, his vision of the world bank. Freire proposes a pedagogy that focuses on the life of the subject, young man. Learn from the experiences, of the experiences, of our personal stories, developing a pedagogy of liberation, where the actors are responsible for your own self and guides of their own destiny. The Free Education has definitions in different parts of the world, and can be understood in many ways. The essence of education free is to respect the process of human development, trust in life and in the possibility that man can build itself. On this basis, projects of free education is characterized by accompanying children in this process, to make proposals and provide the necessary environment, but with the main idea of non-directivity, that is to say, not to interfere in the decision making, not direct it. This results in leaving the child to be. This pedagogy was born in Argentina, of the hand of González Pecotche, who is part of a philosophical understanding of man as a spiritual being. Logosophy has its own method of internal knowledge and proposes a pedagogy that takes the links, personal experiences and values, as a starting point for learning and growth. Will pay great importance to what happens in the life of every student and they start a work of self-knowledge before taking decisions in their lives. William Killpatrick was a strong opponent of Maria Montessori, but within your proposal development what he called a Methodology of Projects, where young people are progressing in their learning through the realization of pilot projects of research that they themselves develop. Killpatrick elaborates on the need for a scientific method, but always maintaining autonomy, free choice and respect for the processes of development. This education movement has different exponents around the world and throughout history. From Pestalozzi to Constructivism, many have raised the need of an education where children are active actors, and it is this experiential learning that reinforces the process of knowledge. There are different currents that have used these ideas and led to particular methodologies. Democratic Education is more than assemblies of students, the voting in the classrooms and the generation of internal rules by the students. It is a movement that takes the principles of democracy to the school structure, this implies a total modification of the way in which we conceive of the school. Democratic Education is based on respect for children and young people. Democratic Education happens when it honors and recognizes children as individuals who actively participate in their way by the education. Democratic Education is an education based on the meaning, relevancy, joy, community, love, and human rights. This pedagogy, the fruit of the work of Rudolf Steiner, part of a few philosophical principles and spiritual are very different to those prevailing in the first half of the TWENTIETH century. From that place, the pursuit of the spiritual goal, Steiner develops a methodology that proposes that every human being finds its essence through creativity, art, movement. Waldorf education takes the look of anthroposophy of the man and develops a structure of respect for the cycles of life, their intentions, their characteristics. Waldorf delves into the relationships and human bonds, giving them the importance they deserve, and transforms traditional education into a living structure. 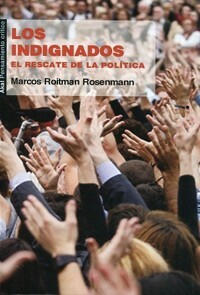 It is based on the ideas emerge from the events and real-life experiences, leading to responses and actual findings. The adult is based on the observation and the discovery of the different ways that children participate, proceed and choose, for this reason they select and qualify the activities addressed to the motivations and interests of the children. It values the importance of parent involvement, using a practice explicit, communicative, willing to document what the school does with the children and their evolution.